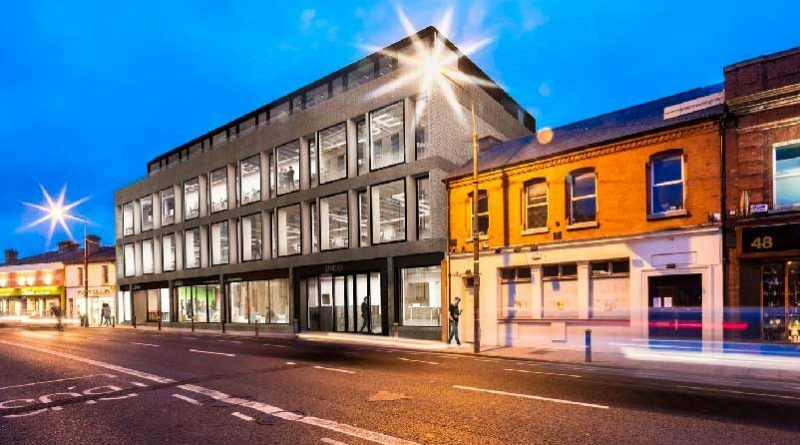 U+I has secured planning permission for the redevelopment of two sites in Dublin, Donnybrook House in Dublin 4 and ‘The Avenue, Sandyford’ (formerly known as the Avid Building) in South County Dublin. The two developments combined will deliver up to 147 new homes, over 60,000 sq. ft. of new commercial space, as well as retail and restaurant space, providing much needed homes, offices and leisure facilities for the city. Construction at Donnybrook House will begin in October 2016 with an end value of €45 million whilst work will begin on The Avenue site in Q2 2017 with an end value of €55 million. Originally purchased by U+I in 2014, Donnybrook House is a prominently located 1970’s office building in Dublin 4 that has been empty for a number of years. U+I has secured planning permission for a complete refurbishment of the building and conversion of the ground floor offices that will see the building comprehensively remodelled and brought back to life. The redevelopment will provide 45,000 sq. ft. of offices, 2,000 sq. ft. of retail, 4,000 sq. ft. of restaurants and a basement gym of 20,000 sq. ft.
‘The Avenue, Sandyford’ (formerly known as the Avid Building) was purchased by U+I in 2015, occupying a 2 acre site and comprising 42,000 sq. ft. of office and warehouse space. Planning permission has been secured to re-develop the existing site into a new mixed-use community, providing 147 new apartments and c. 10,000 sq. ft. of commercial space. Located within the prominent South County Dublin residential area of Sandyford, the site is located close to two LUAS tram stops which link directly to the city centre in less than twenty minutes. Commenting on this positive progress, Matthew Weiner, CEO, U+I said: “We are delighted to have secured planning permission for two further developments in Dublin which both underline our focus as a business: unlocking the potential of sites to create long-term socio economic value for the communities in which we work. We look forward to working with our Irish partners to create unique places that contribute to the local economy and provide much needed quality residential and commercial space.